I will start with data preparation, as this step is very critical and time consuming (can be 80% of the time, depending on the data set complexity) but still very underrated when it comes to data visualisation, so if you are a beginner you need to set up clear expectations around the time that it will take you to produce accurate data visualisations as graphs, dashboards, etc. Also called Data Scrubbing, during this step the idea is to remove or amend errors such as duplicates, incorrect formatting, misspelling, blank fields, incorrect/missing data labeling, and to identify anomalies. There are different paid and open source tools that can help us on this step. One of the most popular and accessible tools is Excel, follow this link to find the best practices to Prepare Data for Visualisation and Analysis, also in this support page from Microsoft you will find the Top Ten ways to Clean your Data. This is also an important step on data preparation. Excel also provides a very quick and easy method to format data as text, date/time, numbers, currencies, and customise formatting. 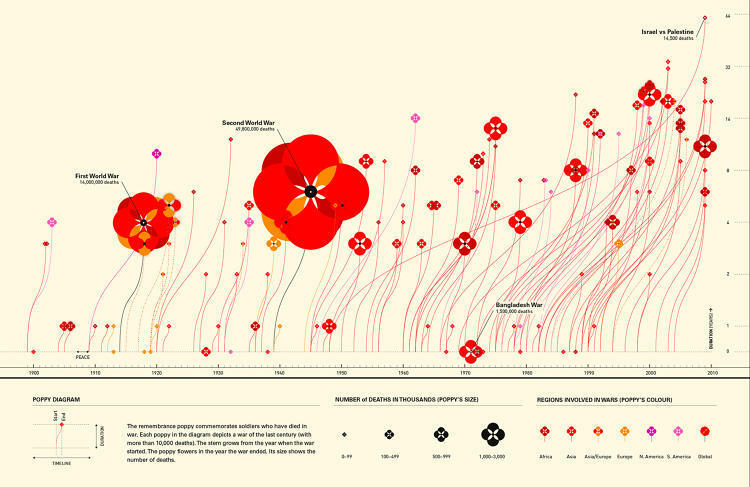 Once the data is in a better shape we can jump into the art of Data Visualisation! See here the full document: Data Management Integration and Collaboration in the Cloud. Visit my blog post to learn how to create an intensity map using Fusion Tables. Probably the most popular used tool for data management. With Microsoft Excel you can create spreadsheets, store data, reformat, rearrange, analyse, create graphs, highlight trends and patterns, create heat-maps, etc. Tableau Software is currently the trendiest Data Visualisation Software, it offers you the flexibility of importing data from different sources and formats, and connect to SQL servers. Very easy to use, and offer very sleek and eye catching visualization formats. You should give it a go with the tableau public software. If you want to see a practical example using Tableau Public, do not miss my next blog post Getting Started with Tableau.